If you thought her fastball was fly, wait until you see her sneakers. The teenage pitching phenom throws a 70 mph fastball, starred in a tear-jerking Superbowl commercial and landed the cover of Sports Illustrated. And throughout it all, Davis sported her red-and-blue Philadelphia Taney Dragons uniform—and is now using the color palette for a good cause. 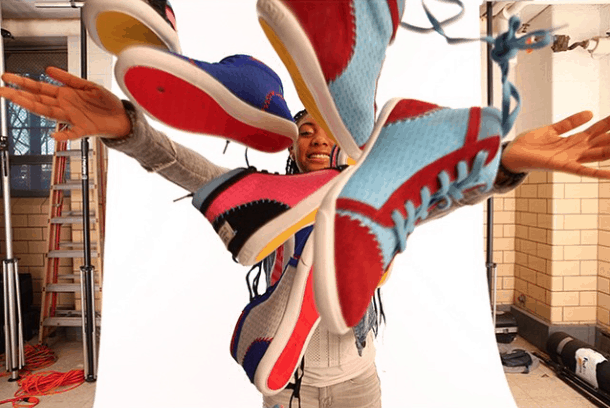 The teenager is launching a new line of M4D3 sneakers, of which 15 percent of its proceeds will be donated to underprivileged girls around the globe in connection with the Because I’m a Girl initiative. If you know me, you know I’m a sneakerhead at heart. Both Mini-me and I will be copping. 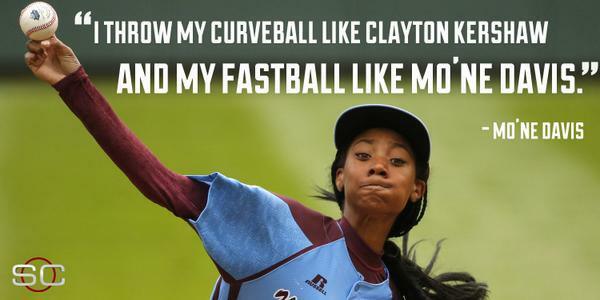 …I want to be able to throw my curveball like Mo’Ne Davis, too. 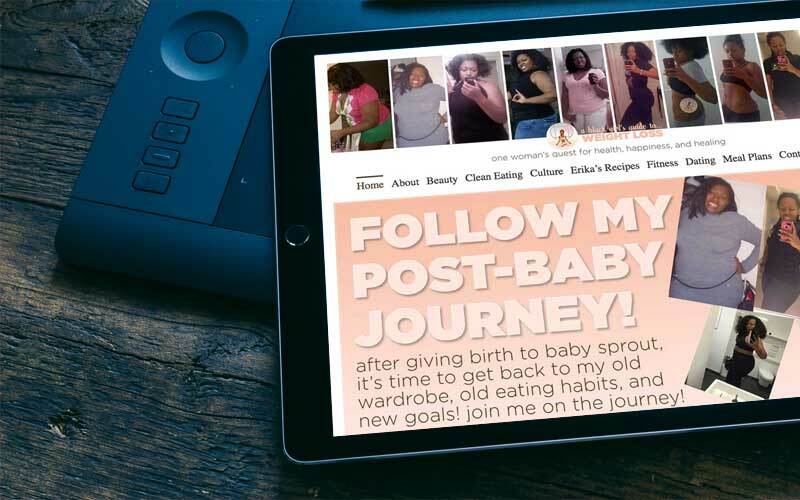 For more information on Because I’m a Girl, check them out at http://www.planusa.org/becauseiamagirl/. To get your hands on Mo’ne’s cute and colorful suede/canvas combo kicks, go pre-order from M4D3 at http://made-shoes.com. Go hug a little girl today. Hug a little boy, too.